Prize bundle of tech goodies - drones, Samsung Gear VR Virtual Reality Headsets, Raspberry Pi 3s, Arduino kits, beacons, adafruit.com gift cards, etc. Land a contract with Coca-Cola to continue building your solution or run a test pilot. We'll likely engage with 3 teams, but it could be more! From the "Let's keep talking" category, we'll pick 2, narrow it down and run real pilots. Don’t you hate when that one drink you’re craving isn’t in the cooler? We sure do. You don't get the drink you want, and we lose an opportunity to make you satisfied customer. Turns out this is a billion dollar problem for beverage companies and retail outlets. Help Coca-Cola keep coolers stocked and get people the drinks they want. Hack on drink coolers and design a scalable solution using whatever technology you think can get the job done. Engineers, developers and designers of the hardware, software, industrial and mechanical flavors. First and foremost, keep what you build. If you find a solution, Coca-Cola may offer you a contract to continue building your solution and work with Coca-Cola to scale it across the globe. All we ask for is right of first refusal.  Work alongside Coca-Cola engineers and local hackers to solve a unique and challenging problem. Obviously we’ll have an unlimited supply of delicious beverages to keep you going and plenty of food. Prize bundles of tech goodies - drones, Samsung Gear VR Virtual Reality Headsets, Raspberry Pi 3s, Arduino kits, beacons, adafruit.com gift cards, etc. Tweet other prize suggestions to @shanereiser. We tried cameras. Expanding them to Coca-Cola’s 14 million coolers all around the world proved too expensive. We tried weighted sensors but they had trouble identifying the product in the cooler (did someone put a sandwich in there?). We need some fresh minds and outside perspective to help us solve this problem. What else you got? More background - i.e. the exact problem we are trying to solve? Out-of-Stock is the #1 Strategic Issue at Coca-Cola: This problem has resisted traditional technology solutions; from sensors on coolers to mobile devices in the hands of consumers to cameras. None of the previous approaches achieved the scale or creation of high quality data required to make a meaningful improvement in the system's ability to predict, identify, and address out of stocks. 6:30 PM: Meet and greet. Learn more about the challenge and see the cooler equipment you'll be hacking on. Go home and dream about your solution. 9:00 AM - Breakfast & kickoff. 12:00 PM - Lunch served. 11:00+ - Stay and hack as late as you want. 9:00 - Breakfast served. Keep hacking. We'd love for you to join our in-person event in Atlanta so we can see your solutions live, but teams can participate remotely too. 2. Teams at the in-person event will be asked to demo their submissions to a panel of judges on Sunday at the conclusion of the event and upload a brief description of their solution to devpost. Remote teams will be asked to submit a description of their solution along any other additional content you feel is necessary. We're flexible on the format of what you submit, but it could include photos, videos, code, sketches, renderings - whatever you think we need to see. Remember - you own the IP of whatever you create and/or submit. In the description, be sure to address each of the judging criteria. Submissions will be accepted through April 17th at 5PM EST. Bill leads Innovation and Architecture for The Coca-Cola Company’s global IT organization. He is responsible for partnerships and projects with startups, academic institutions and the innovation process across the Coca-Cola system. Local Atlanta inventor, founder of My Inventor Club, mentor at ATDC, known for his work on the Nerf AirJet brand and developing manufacturing processes for lithium ion batteries. Wow factor. Did you build something no one thought was possible in the scope of a weekend? Did you use techniques that are abnormal, often impractical, and weirdly elegant? Is it easy to understand? Is it easy to use? Is it creative? Does it solve the challenge? Does it work as is or does it require additional resources? Can it be scaled to Coke's 14 Million coolers worldwide in a cost-effective way?